Hive psychology is more than simply an application of psychology. It refers to collective human decision-making and behavior within a social context, drawing on the collective behaviors of a variety of animals as corollaries in the natural world. 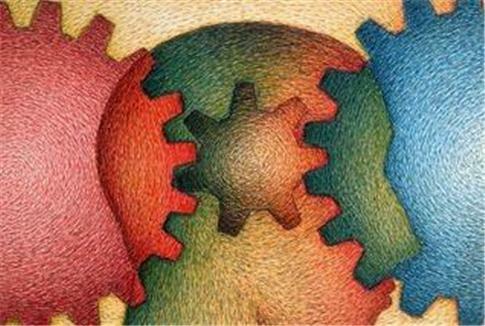 A variety of disciplines employ the tenets established by this refinement of psychology, from business to anthropology to community planning professionals. In the article below, we’ll explore the subject in greater detail and provide a practical base of understanding. While we are in many ways deeply competitive as a species, this single facet of our cultural life doesn’t go far enough. Its exclusive consideration is a relatively recent idea about ourselves—about as old as capitalism or the free market. Hive psychology digs a bit deeper, beneath the veneer of assumptions we make about the true behaviors of our species based on the currently fashionable cultural models. Rather, it peers into our distant past, when we were first beginning to come together and live in communities made up of extended relatives or several main family groups. Some experts believe that our competitive tendencies, which do have biological corollaries with our nearest primate relatives, chimpanzees, are not dominant. Rather, we possess an additional layer of complexity that reaches beyond the individual, enabling us to cooperate with those we might otherwise view as competition, creating stable communities with a high degree of evolutionary fitness. It is perhaps a function of that fitness that we, alone among all the various Homo species that once flourished, remain, driven by an unconscious awareness of the value of cooperative action. As fascinating as these applications of group dynamics may be, only psychology possesses the intellectual tools to describe the many reasons why we, as social animals, may engage in this type of hive dynamic. In many cases, such activity can be beneficial. It can enable several otherwise competitive social groups to cohere and resist a particular threat. But it can also cause phenomena such as economic growth bubbles or panics within our modern social landscape. Why, when we see others behaving in a certain way, are we tempted to do so ourselves? One aspect of this that transcends modern culture is related to how our communication style impacts our neurology. Language is closely tied to our need to understand or inhabit the mindset of others within our social or familial group. This is called empathy—imagining the internal state of another as if it were our own—and it may be one reason that hive behavior tends to be infectious. Yet another rationale is the need for societal approval. Some portion of every culture will adhere to behaviors it does not necessarily support in order to attain the approbation of peers. This, again, falls back on the origins of our community-based lives. The opinion of those perceived to be our equals or betters carries weight within a prestige hierarchy, which describes most modern cultures. Today, as many thousands of years in the past, prestige can guarantee better mating opportunities, resource allocation, and access to special privileges or relationships. The very real dangers of social isolation in our cultural evolutionary environment were often expressed as hunger, lack of breeding opportunities, refusal of assistance, and even ostracizing of the unfavorable individual. Studying the human hive behavioral complex can lend insight to many fields. It can explain the rise and fall of popular social trends within or across generations. It may cast light onto our intolerance—who we ostracize and why. Lastly, the study of hive psychology can assist experts in a variety of socially important fields to predict the futures of financial markets, commodity demand, and even how ideas grow within a group.